Commercial trucks are an essential part of the Canadian economy. These are the vital organs of both governmental and commercial applications. Trucks and trailers, freight trailers, are the heavy equipment of choice in the all-important Canadian transportation industry. They transfer loose materials, freight, commercial equipment and myriad other equipment. 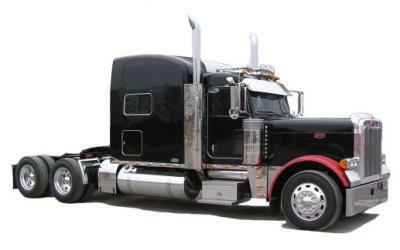 Numerous other industries depend on the trucking industry for their day-to-day operations. However, getting a truck loan in Canada is becoming increasingly difficult. Securing truck loan or trailer loan, requires significant research compared to some decades ago. In fact, getting finance for used trucks in Ontario has become quiet an effort. So, here are some trade secrets from truck financing companies in Canada to help new entrepreneurs. Though banks are not the ideal choice for financing a truck these days, nevertheless it should be tried. If you are seeking a truck loan, sometimes banks do have something in store for you. Make a trip to your local banker for once. If you have an average credit rating, good history of running a truck and satisfy some other criteria, banks should be your first option. Research all the conditions that potential truck owners have to satisfy in order to secure finance for used trucks and trailers. You can apply under secure on unsecured loans as per your situation. Secured loans involve collateral against the truck you are purchasing. Unsecured loans do not require putting an asset as collateral. Thus, they do not drain your business finance. Secured loans usually carry a lower rate of interest as compared to the unsecured loans. Since the owner is willing to put collateral, the bank lowers the rate further. Remember, the asset can be seized in case you are unable to pay the due amount to the bank. Unsecured loans are based on the borrower’s personal guarantee only. This rationale causes the rates to shoot up further. Needless to say, these loans are a rare phenomenon in today’s financial times. The financing for heavy-duty trailers and trucks is a job well suited for specialized lenders. In Canada, these lenders rule the roost for providing real-time solutions to financially crunched entrepreneurs. With flexible terms and better interest rates, these lenders represent a better chance of securing a loan. Despite owner’s credit history and financial status, truck lenders still provide solutions to get a truck loan at reasonable rates. Owners with a good credit standing should shop around for better deals from prime lenders. Expect good rates if you have cash assets and good credit rating. Most specialized lenders provide instant quotes and have online application processing systems. Spend some time in research and develop a wider perspective to get best truck loan deals in Canada. If you have a bad credit rating, consider getting finance with a co-signer provided he/she has good credit history. This joint venture increases your reputation in front of the bank/lender. A business partner is the ideal choice for financing truck in partnership. Lenders can also accept equity in home, other heavy equipment or myriad collaterals to improve financing chances. When buying a used truck or trailer in Canada, getting a good deal in finance is crucial for the success. Despite the large capital investment, being successful in trucking industry is possible if you get a suitable truck loan. Good luck with hunting for the best truck loans and trailer financing.